WPDeveloper.net is an experimental project of A. R. Communications that aims to revolutionize the way WordPress plugins are delivered. It is a marketplace for WordPress plugins, themes and subsystems. The underlying technology of WPDeveloper.net marketplace makes the delivery and maintenance of WordPress plugins easier for both plugin developers and users. The state-of-art licensing and delivery mechanism of WPDeveloper.net makes the delivery and maintenance of licenses painless. This is, by far, the most secure system for WordPress plugin delivery and licensing. On the other hand, the users can enjoy the instant license upgradation feature that makes migration from one version to another seamless. Users don’t have to setup the system all over again. Because, all the data and settings of earlier versions will be preserved. 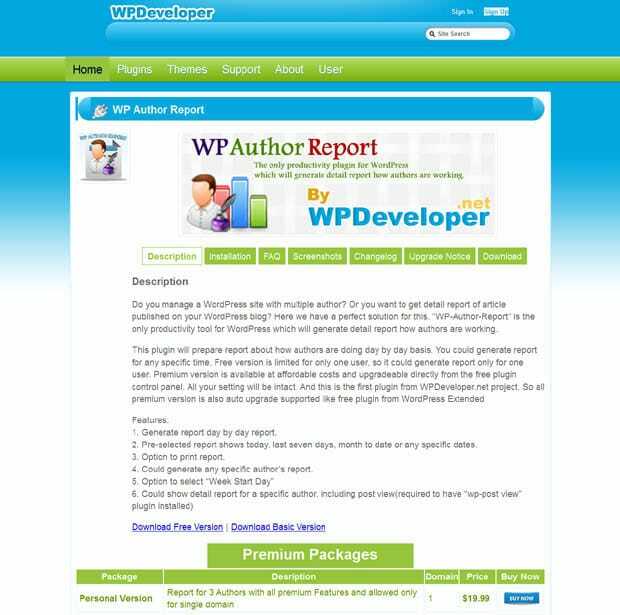 WPDeveloper.net offers the most hassle-free WordPress plugin update experience to web developers and system administrators. WPDeveloper.net team hopes to continually deliver quality WordPress plugins with unparallel user experience.